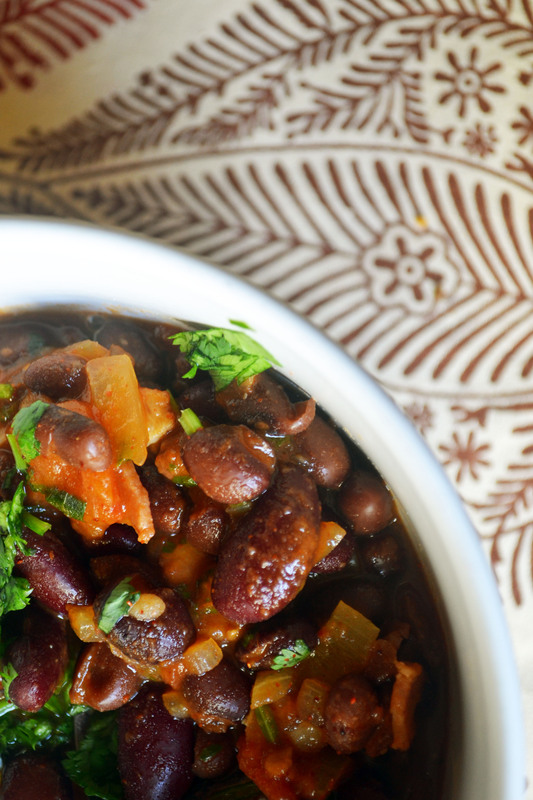 This is hands down the best black bean soup I have ever had….and I have tried multiple black bean soup recipes. This one is soooo flavorful and addictive. It makes quite a bit, but you will be thankful for the leftovers because it tastes better the second day (if that is even imaginable). This recipe also freezes well. Reheat the frozen portions for a quick lunch or dinner. Or bathe in it…because it is THAT good. Don’t let the long list of ingredients spook you. It is such a flavorful soup and so easy to throw together. If you don’t have smoked paprika, you can leave it out. But I think it adds a nice flavor along with the bacon. Mmmm. For a vegetarian version, you leave out the bacon and use vegetable broth instead of chicken broth. Cook bacon over medium heat in a dutch oven until bacon is cooked but not crispy, about 5 minutes. Drain a portion of the grease out, leaving just enough to sauté the onions. Add onions and cook until translucent, about 4 minutes. Add sweet bell pepper, jalapeño, and garlic. Cook for about 2 minutes. Add broth, tomatoes, spices, tomato paste, and maple syrup. Heat to boiling. Reduce heat to medium low and cook covered for 5 minutes. 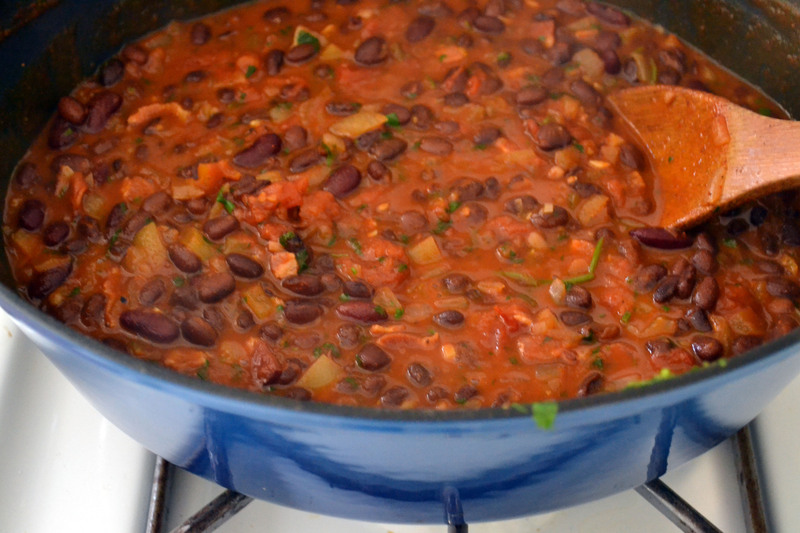 Add black beans. Increase heat to medium until boiling. Reduce heat to medium low and cook an additional 10 minutes, covered. Stir in 1/2 cup of the chopped cilantro, salt and pepper to taste, and lime juice. Heat until soup thickens, about 5 minutes. Allow to cool for 5 minutes. 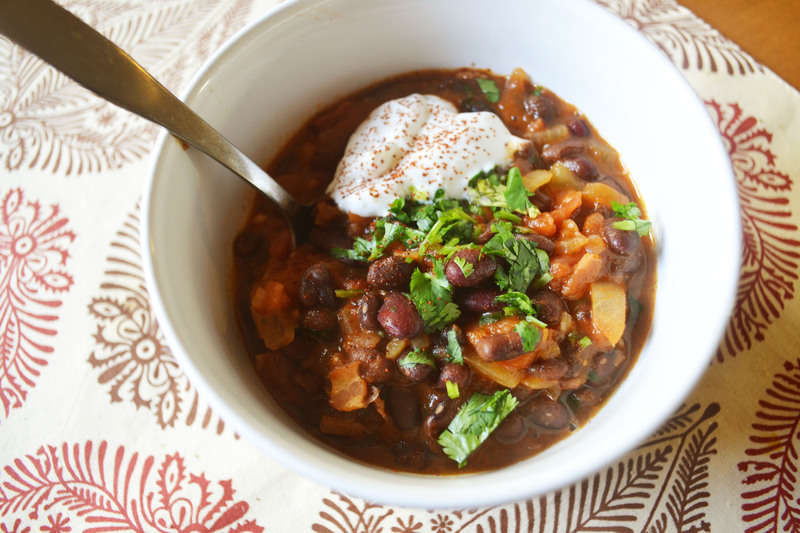 Ladle into bowls and top with remaining chopped cilantro, sour cream or greek yogurt. Yum! I can’t wait to make this soup. Hope to see you this weekend!